Projects Abroad coordinated a Diabetes Information Session on Thursday, April 13th at the Lions Den. From 9AM to 12PM, Nurse Cora Guillen, along with Dr. Meg McHenry from Raleigh, North Carolina, USA, offered free blood glucose screenings and promoted the importance of healthy living, as well as diabetes counseling to five patients. McHenry, who’s a registered dietician, explained that although there was a low turnout, it was the perfect setting to give her patients one-on-one consultations. 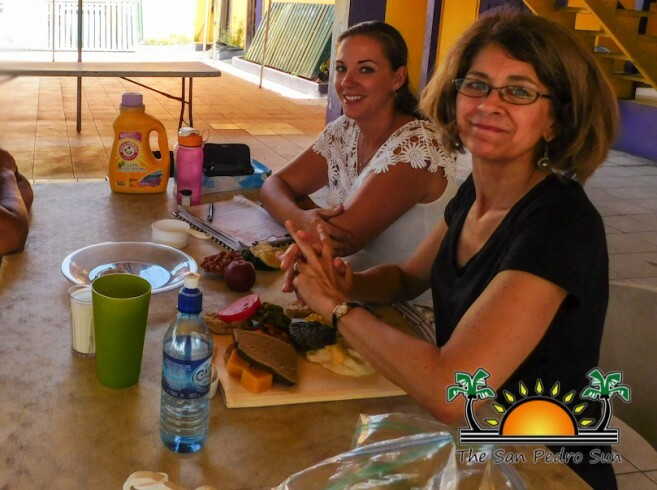 “I’ve been coming to San Pedro for the past two years as part of a mission to help Holy Cross Anglican School, and to offer my services as a dietician. Last year I hosted a session at the Dr. Otto Rodriguez San Pedro Polyclinic II, and it was not the best area for me to give personal consultations. However, I met with five patients this year, and spoke to them on ways for them to improve their diet by limiting excessive carbohydrates,” said McHenry. McHenry explained that diabetes, along with hypertension and high cholesterol, are the common diseases in Belize. 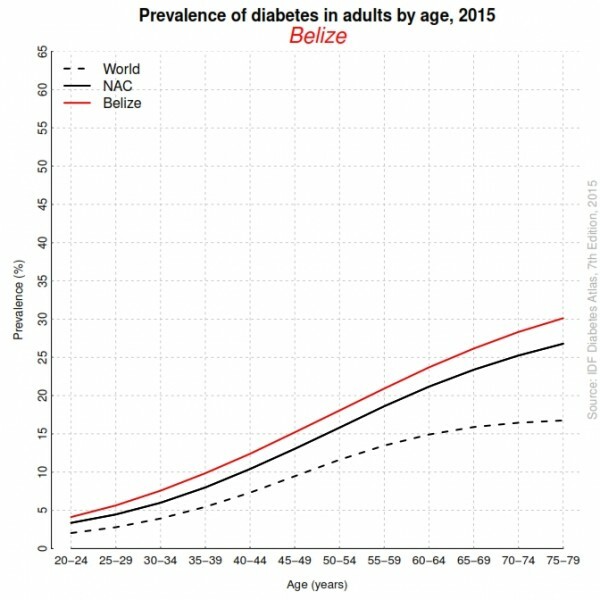 According to the International Diabetes Federation (IDF), there were 28,700 cases of diabetes in Belize in 2015. To combat the effects of diabetes, McHenry advised that a person should exercise and eat properly. She then visually demonstrated normal breakfast, lunch, and dinner portion sizing with various rubber food models. According to IDF, diabetes mellitus is a chronic disease that occurs when the pancreas is no longer able to produce insulin, or when the body cannot make good use of the insulin it makes. Insulin is a hormone made by the pancreas, and acts like a key to let glucose from the food we eat pass from the blood stream into the cells in the body to produce energy. All carbohydrate foods are broken down into glucose in the blood, and insulin helps glucose get into the cells. When a body is unable to produce insulin or use it effectively, it then leads to raised glucose levels in the blood. Over time, the high glucose levels are associated with damage to the body and failure of various organs and tissues. Individuals can experience different signs and symptoms of diabetes, and sometimes there may be no signs. Some of the signs commonly experienced include: frequent urination, excessive thirst, increased hunger, weight loss, fatigue, lack of interest and concentration, tingling sensation or numbness in the hands or feet, blurred vision, slow-healing wounds, vomiting, and stomach pain. Type 1 diabetes is usually caused by an auto-immune reaction where the body’s defense system attacks the cells that produce insulin. People with type 1 diabetes produce very little or no insulin. People with this form of diabetes need injections of insulin every day in order to control the levels of glucose in their blood. Type 2 diabetes accounts for at least 90% of all cases of diabetes. It is characterized by insulin resistance and relative insulin deficiency. It is often, but not always, associated with overweight or obesity, which itself can cause insulin resistance and lead to high blood glucose levels. Gestational diabetes (GDM) is a form of diabetes consisting of high blood glucose levels during pregnancy. GDM usually disappears after pregnancy but women with GDM and their children are at an increased risk of developing type 2 diabetes later in life. 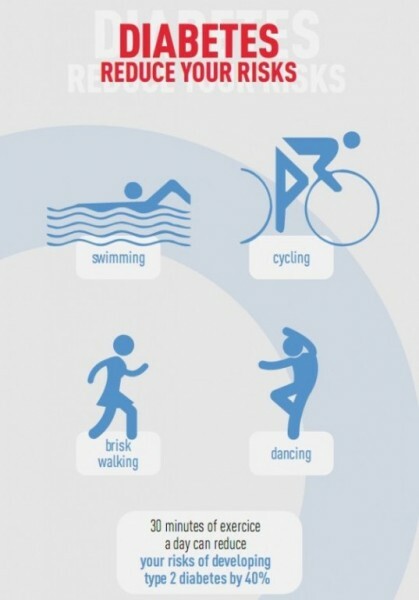 As type 1 diabetes cannot be prevented, there are many ways a person can help prevent the development of type 2 diabetes. Weight loss improves insulin resistance, and increase physical activity is highly encouraged to maintain a healthy weight. A balanced and nutritious diet is also essential for health, as it reduces risk factors for diabetes, as well as other diseases. RN Guillen stated that those with diabetes should follow through with their doctor’s recommendations. “It is very important to follow a regime when a person has diabetes. If you are taking diabetes medications, it is advised to never stop taking them. I also recommend that pre-diabetics and diabetics to practice portion-control, because it makes a difference,” said Guillen. If you have any symptoms as mentioned above, it is highly encouraged to see your local doctor for a proper diagnosis. In the meantime, Projects Abroad is planning to host a health fair at the San Pedro High School in May. The San Pedro Sun will release the official date and more details as it is becomes available. Diabetes in San Pedro: What is it, are you at risk, and what can you do?